Mr. March: Marco Moretti, Italian millionaire. His Curse: Love or money, never both. His Conquest: Defeat a generations-old legacy with one seduction. His competitor's daughter had come to him with the ultimate request: impregnate her and their families would be free of the curse that plagued them. The chemistry between Marco and Virginia Festa was electric, and the solution seemed simple. Yet begetting the Moretti heir created the most impossible of situations. They'd each fallen in love with the opposition. 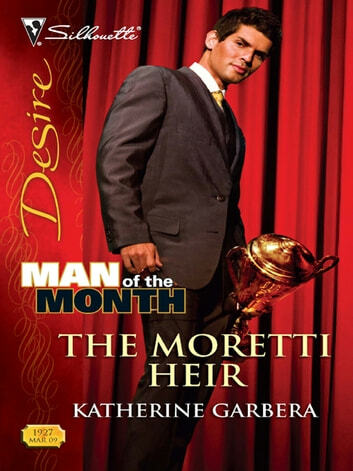 MAN OF THE MONTH: Determined to end Moretti's Legacy, only he knows to what lengths he will go!